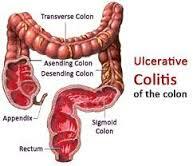 When I was diagnosed with ulcerative colitis, an autoimmune digestive disease, I thought my healthy life was over. The doctors and nutritionists warned me of the dangers of eating raw vegetables, especially salad (Wait, what?) because of the pain and damage they could cause. I was placed on a low-fiber, low-residue diet and given an extremely short list of foods I could eat, which included mashed potatoes and ice cream but no raw veggies or fruits, no whole grains, and nothing crunchy. I pretty much lived on plain baked potatoes (no skin) and hummus for the next four months, but as I went into remission, I began to slowly add healthy foods back into my diet. Now, I eat a pretty balanced diet, but I know there are many people with food intolerances and allergies as well as other issues, such as IBS, Crohn's, and Colitis, who have no idea what to eat. When I talk to individuals with digestive problems, the first question they ask is, "How do you get enough to eat?" Getting enough calories can be difficult when planning meals around food restrictions, so I try to make sure I eat a few calorie-dense foods at every meal - usually in the form of avocados or rice. A tablespoon of olive or coconut oil for sautéing veggies is also a great way to add some healthy fats (and a few more calories) to a meal. If those options aren't appealing, the best thing I have found for adding more healthy calories to my day is a giant smoothie with protein, fruit, and greens. I buy frozen fruit and almond milk at the store and blend them with a couple of cups of spinach and a scoop of 1st Step French Vanilla Whey Protein. My nutritionist has told me to be careful with dairy, but 1st Step's protein powders are extremely gentle on my digestive system. Another problem that comes with digestive diseases is malabsorption, which means that when we eat food, we do not absorb all the nutrients from them. This means we can suffer from vitamin and mineral deficiencies even if we eat a balanced, healthy diet. The way I combat this is by taking 1st Step's liquid multivitamin and liquid b-12. Liquid vitamins are easily absorbed, and 1st Step's liquid vitamins don't make me feel queasy, which is often a problem with vitamins in pill form. The final thing to remember is to listen to your body. Kale might be an option, but if it makes you sick, don't eat it. No health food is worth risking your digestive health! If you have trouble figuring out what you can and can't eat, definitely talk to a nutritionist or dietician, who will be able to help you make a plan. It's also a good idea to be tested for food allergies so that you know what you can't eat. And just remember: Live healthy. Look healthy. Be healthy.